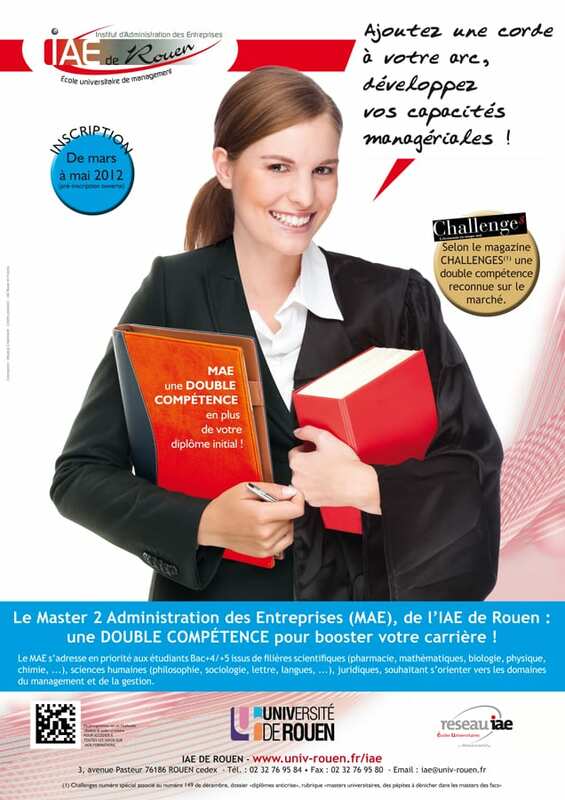 The brief : The Institut d'Administration des Entreprises (IAE) at Rouen University's School of Management, had experienced a significant drop in the the number of students enrolling on courses across all disciplines. The school's management wanted to boost enrolment. 1 - Analysing the context with a SWOT analysis to identify the IAE's strengths, weaknesses and competitors, and putting these details into perspective. 2 - Talking to people who work there, and their target markets; in-house and external, near and far. 3 - Identifying the target population: researching the different groups to understand their interests, expectations, characteristics and communication channels. 4 - Prioritising: deciding which groups would be our main target, and which would be secondary. 5 – Creating a message for each different group depending on the target. 6 – Producing a communication plan: defining the resources required, a schedule and the media to use. 7 – Tracking and reviewing results: assessing media coverage, return on investment and the success of the campaign. Our field research* and cross-checking information from the OVE** observatory which collects data on student issues and vocational training, revealed that students don't know much about IAE de Rouen in comparison to other management schools in Rouen and the surrounding area, and that those who do know of the school, don't know much about the courses, services, or what it has to offer. Having analysed the context, we established 2 key aspects to focus our communication strategy on. A BRAND communication strategy, to strengthen the IAE's image, make it known, and promote its assets and expertise. A REPUTATION communication strategy, to improve the IAE's reputation and raise its profile among its target markets. As communications consultants, we were able to identify and prioritise the target markets so they could be targeted directly with courses at the IAE which may interest them (business, management, finance, insurance, HR), from Bachelor to Master's level. 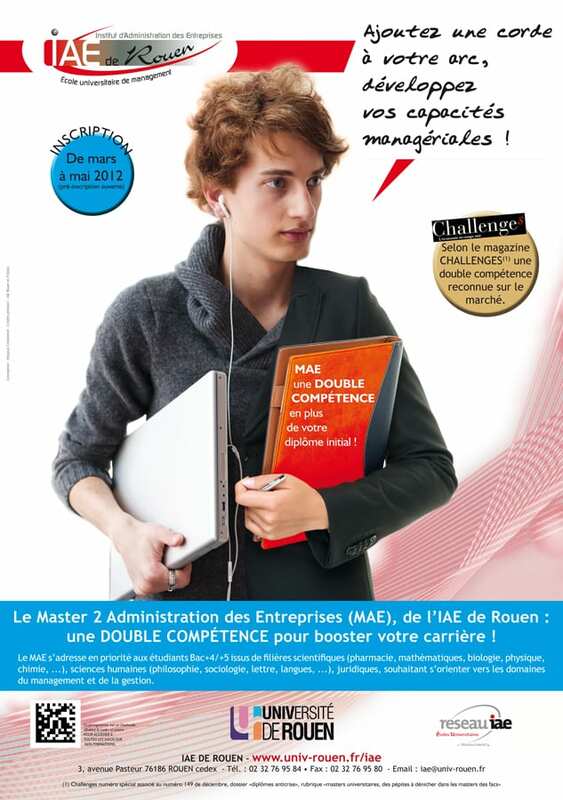 We worked with the management and teaching staff at IAE de Rouen to devise specific messages for students on each type of course, from high school leavers to undergraduates. We wanted to target each group who may be interested in the content of the various courses in a direct, personalised manner. 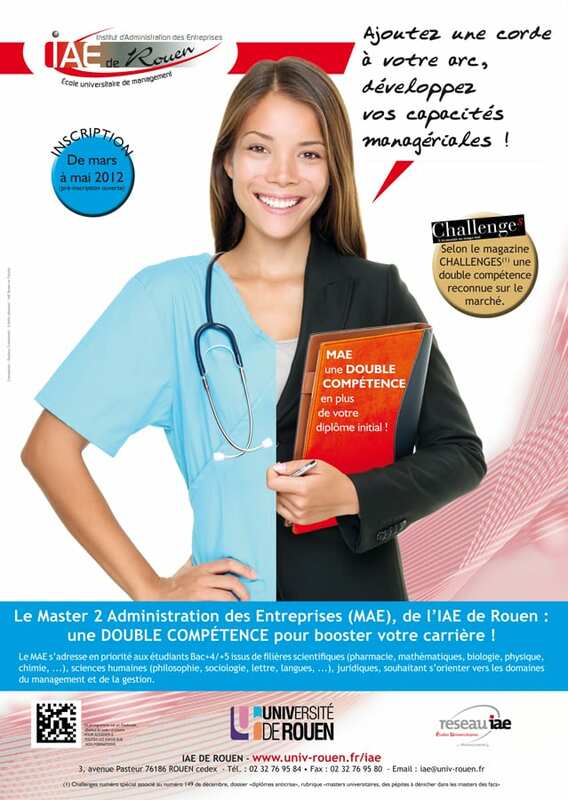 That way, we could highlight the added value of IAE courses for students; coming to the IAE de Rouen, would add another string to their bow, which would be a bonus to the skills they already have when it comes to looking for a job. - Local poster campaign across Normandy. - Improved online presence by upgrading the content of the school's website and linking the site to reputed third party websites directly related to the IAE management training course. - Raising the school's profile locally by organising conferences among the target population in high schools and universities to promote what the IAE has to offer, attending student trade fairs and organising open days. 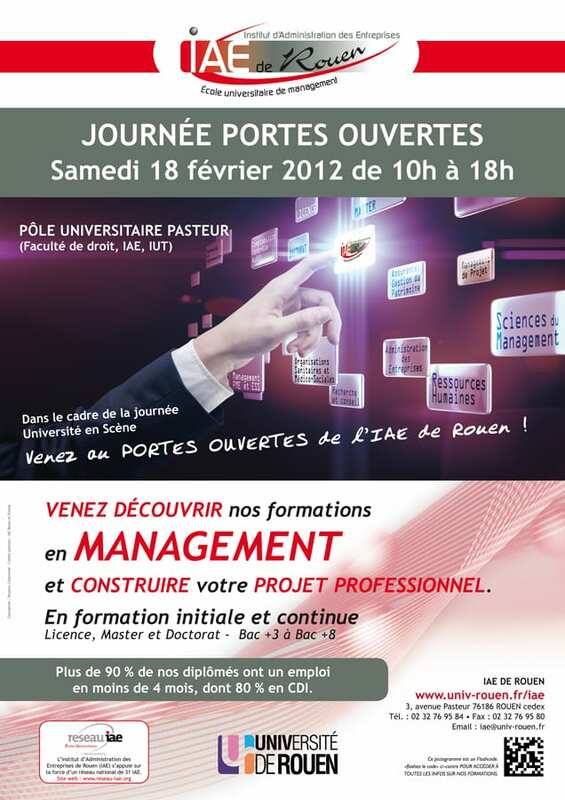 Background information: The Institut d'Administration des Entreprises de Rouen was established in 1991 (The French IAEs are management schools located within universities). It provides research and education facilities in the business sector. The IAE de Rouen combines its involvement with the local and national economy, with the high standards and scientific quality of its university setting. The IAE de Rouen offers a comprehensive and varied syllabus, available to those on undergraduate courses and in continuous education. 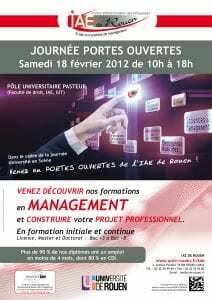 Share the post "IAE: COMMUNICATION STRATEGY"